MONTHLY photos contributed by our members for October - 2018. 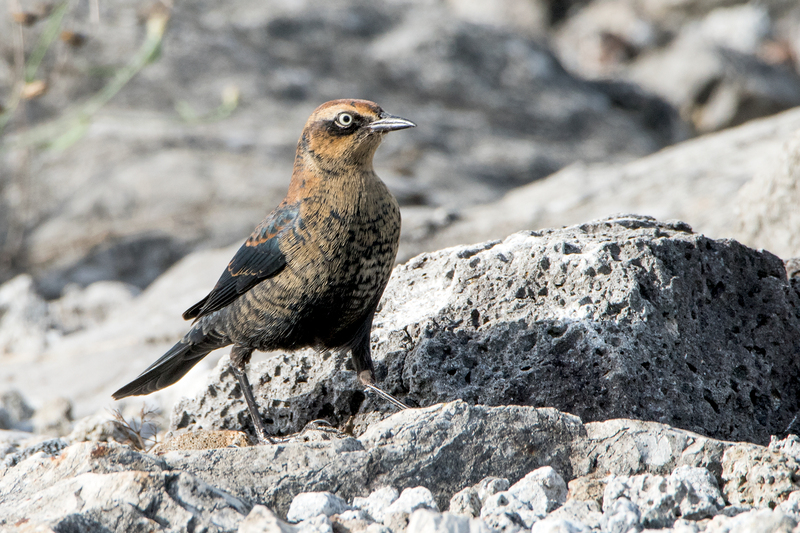 This handsome male Rusty Blackbird was on the long stone pier at Times Beach on the fifth. 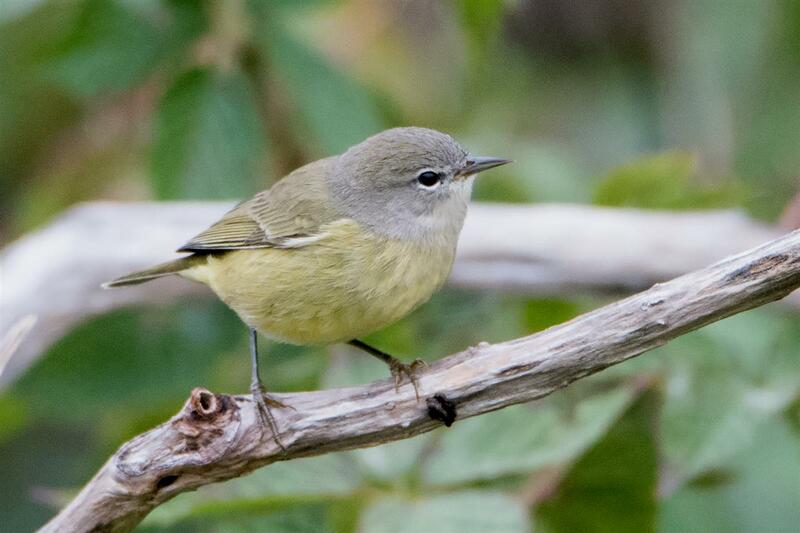 A lovely Orange-crowned Warbler was one of many warblers at Times Beach NP on the third. After two days of rain, the migrants were plentiful! 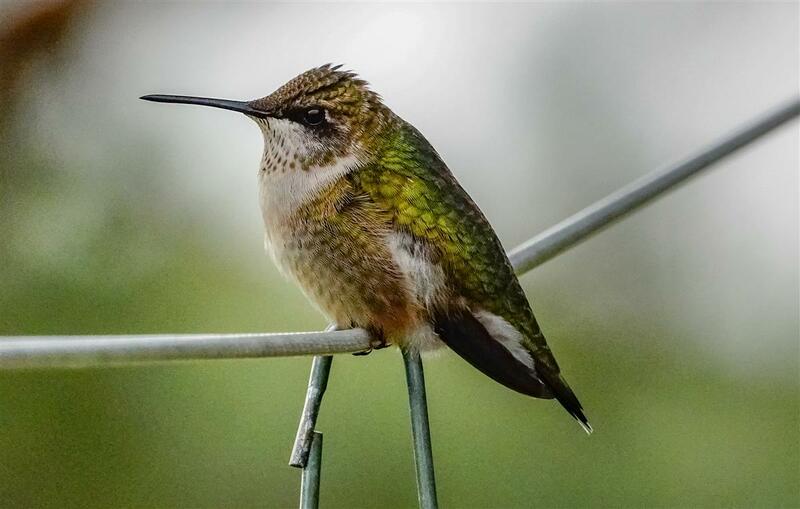 Juvenile male Ruby-throated Hummingbird continues to visit feeders on the Chautauqua Ridge in Forestville through October 5th. 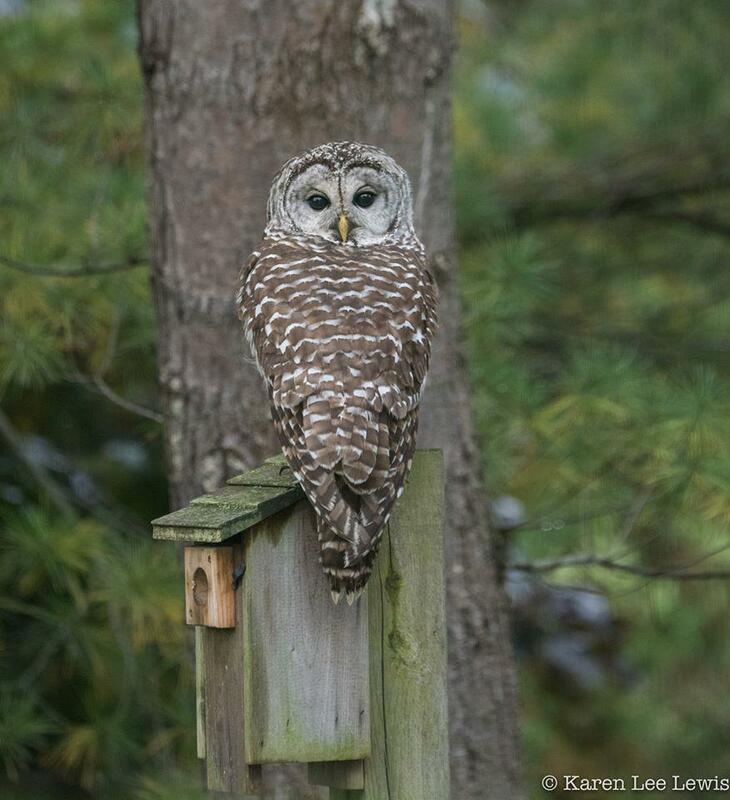 This Barred Owl made a surprise appearance in Karen Lee Lewis's yard in East Amherst on the 8th! Some species most people do not think of as migrants do in fact migrate and show up in odd places! 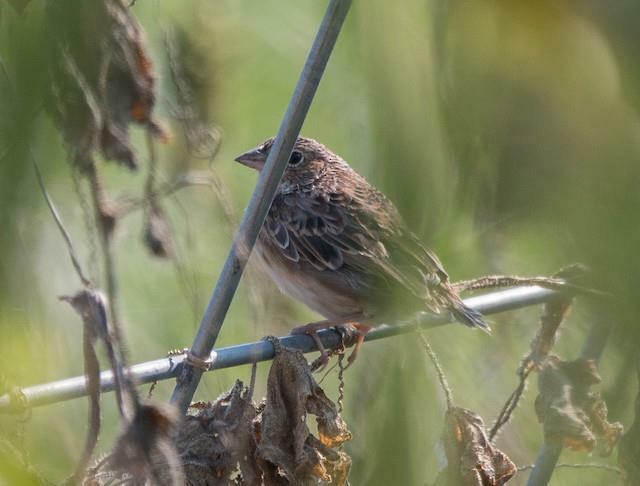 Joel Strong discovered this Grasshopper Sparrow in his veggie garden in the town of Appleton on the 8th. 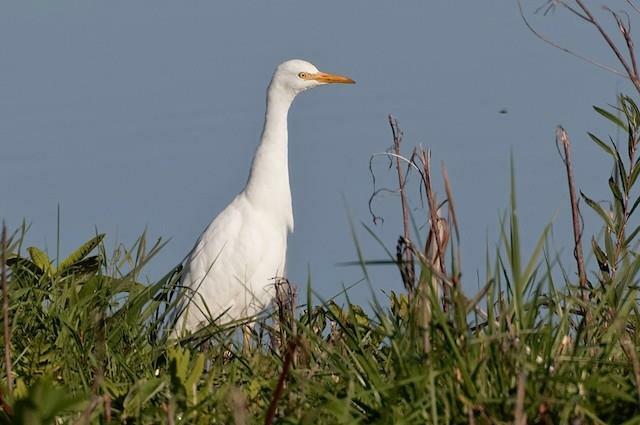 Celeste Morien found a Cattle Egret at Cayuga Overlook at the Iroquois NWR on the 10th. It was foraging along the grassy edge of the pond, sometimes with Trumpeter Swans. Photo by Jim Sawusch. 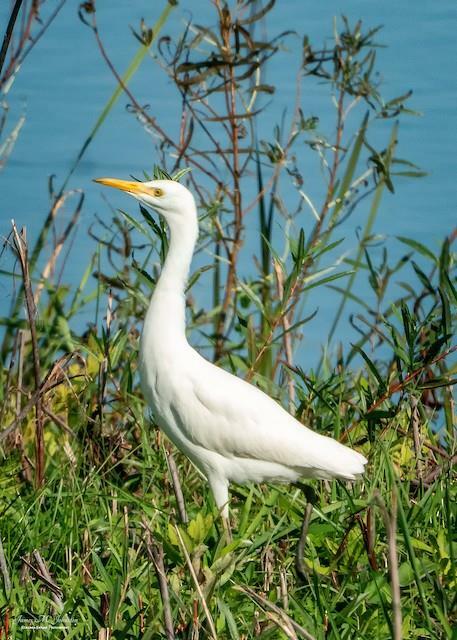 James Johnston captured this image of Celeste Morien's sweet find Cattle Egret on the 10th at Cayuga Overlook, Iroquois NWR. 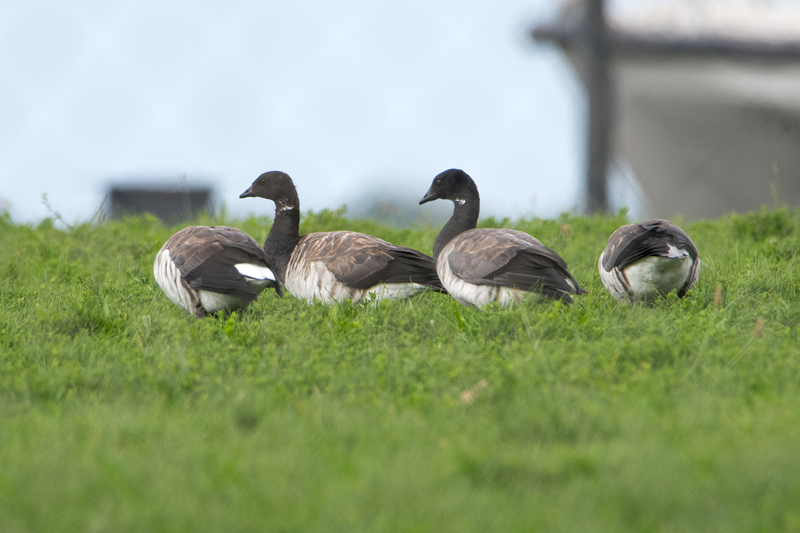 Sue Barth photographed these four Brant at the north end of Times Beach on the 14th. Following the single bird at the end of Sept, its shaping up to be a good year for this species. 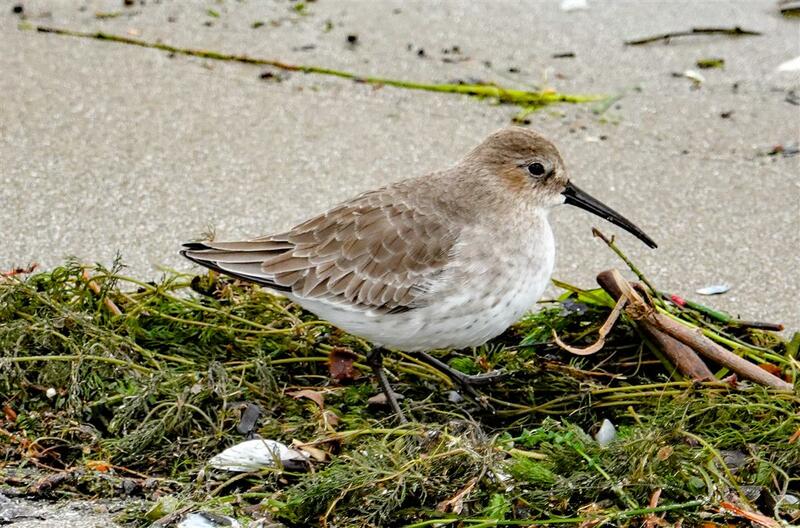 Dunlin in the Dunkirk Harbor on October 17th. 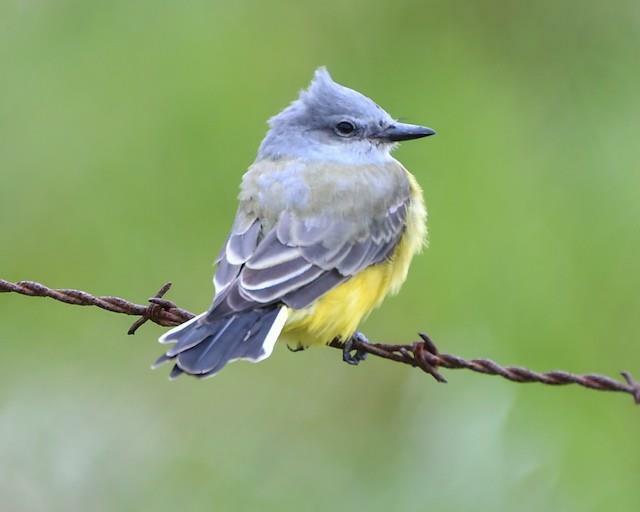 Joshua Ketry scored HUGE with finding this stunning Western Kingbird just outside of Springville, NY on the 17th. Many people were able to see the bird throughout the day thanks to Josh getting the word out quickly! 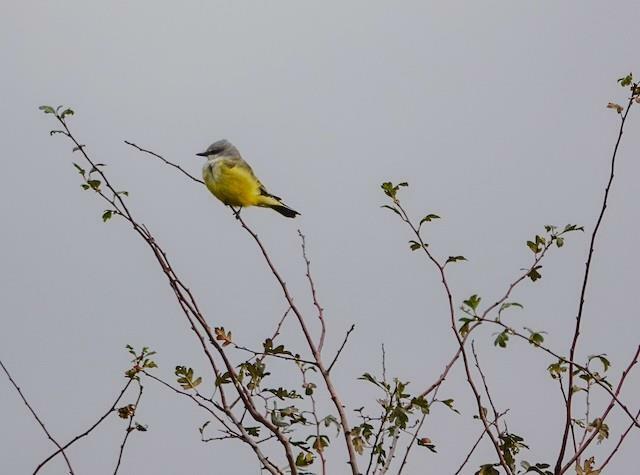 A big congrats goes out to Joshua Ketry for finding this Western Kingbird on the 17th in Springville, NY. The bird has now remained into a second day at the same location. 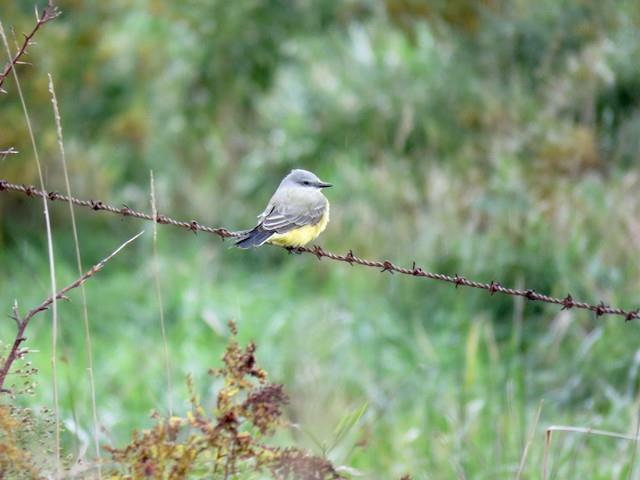 Another image by Ketry of the Western Kingbird he found in Springville, NY on the 17th. The bird favored a field of goldenrod that had several sapling trees scattered about as well as barbed wire along the road. 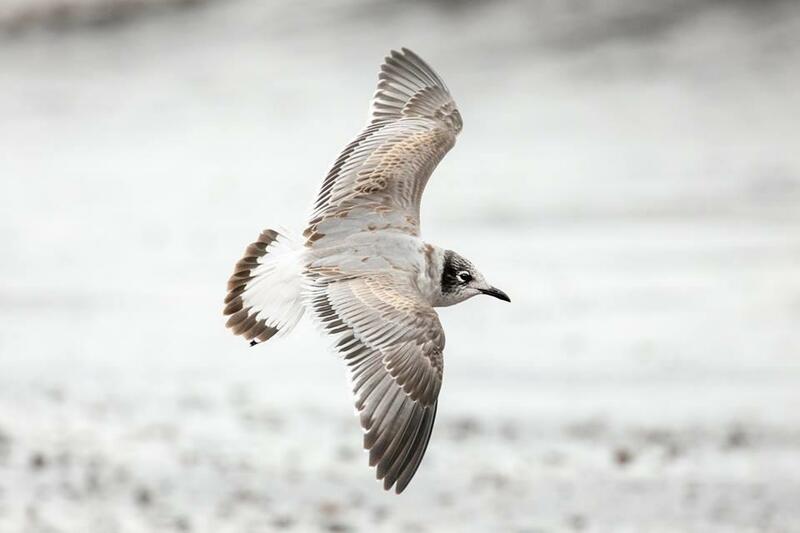 Sue Barth captured this amazing image of an adult Little Gull on the 19th from Black Rock Canal Park. Strong SW winds on this day provided great viewing along the Upper Niagara. 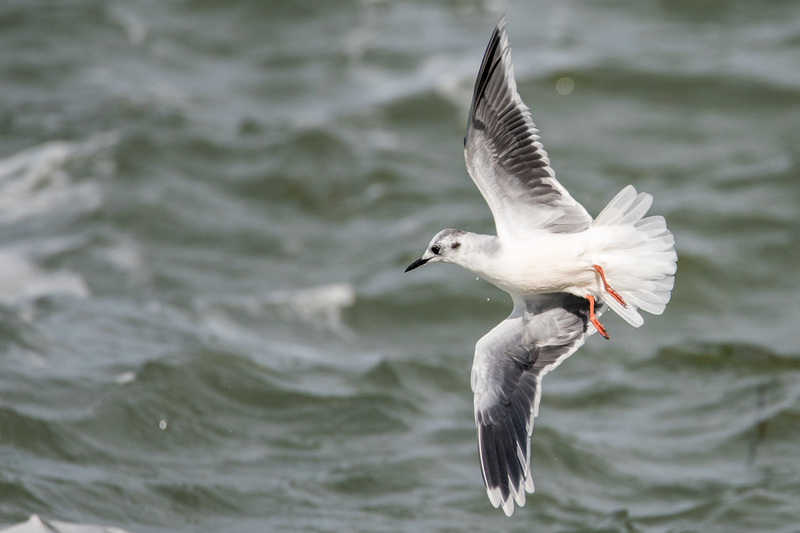 The adult Little Gull found by Humann at Black Rock Canal Park on the 19th was very cooperative and fed right along the seawall. Sue Barth was able to capture several exquisite photos including this one! 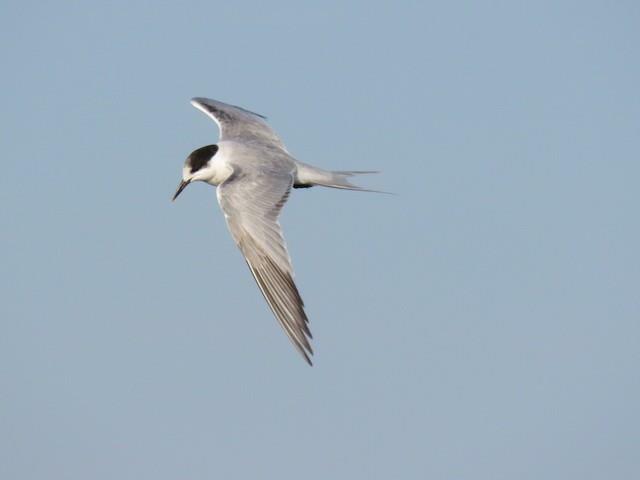 Late season Common Terns on the 19th also paraded close by Black Rock Canal Park due to the strong SW winds. Humann took this photo. 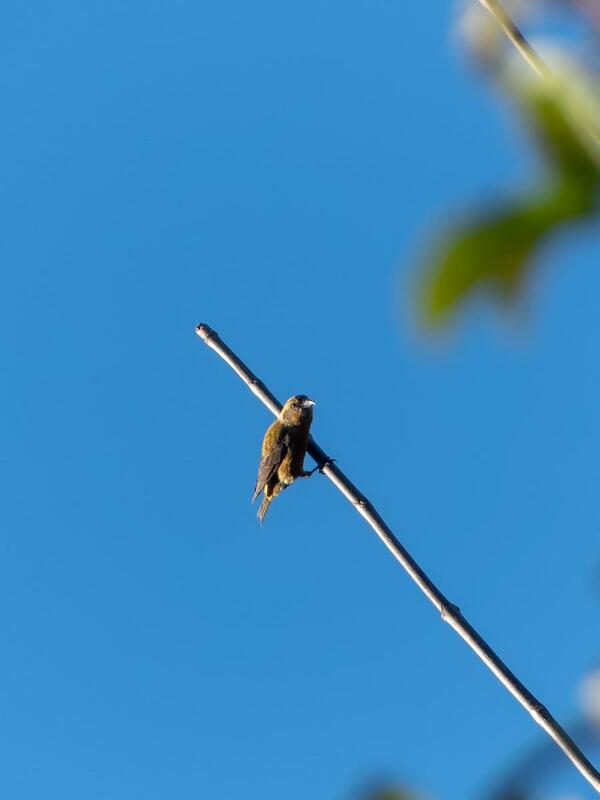 David Crowe found this Red Crossbill at Hanging Bog WMA in Allegany County on the 19th. Here's to hoping this is a sign of things to come this winter! Shelley Seidman caught this amazing photo at Erie Basin Marina on the 22nd. 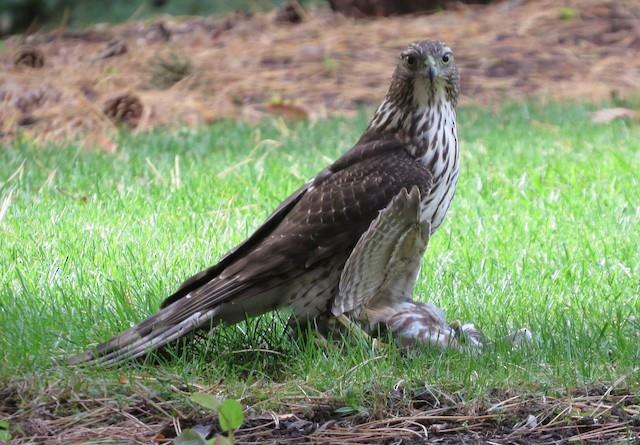 This juvenile Cooper's Hawk snagged a Saw-whet Owl out of a pine over her head! Ouch! 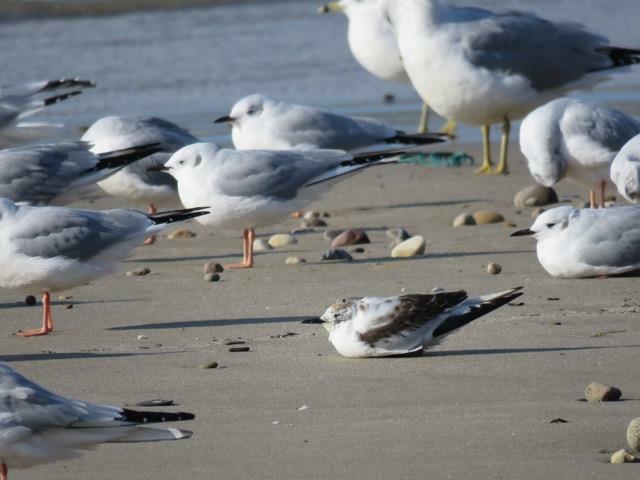 Tom Riley took this great photo of a 1st-winter Little Gull resting on the shore at Bennett Beach on the 22nd. 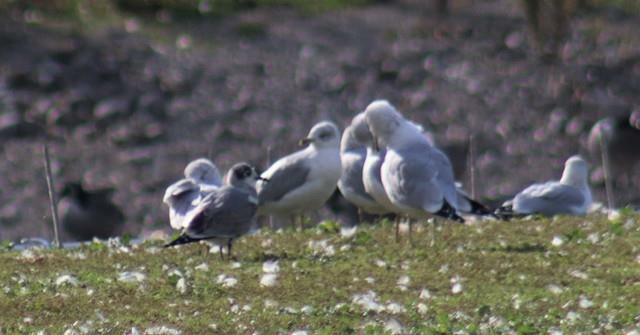 It was amongst Bonaparte's and Ring-billed Gulls. Notice the heavy, dark marking on the wing and petite size compared to nearby BOGU. 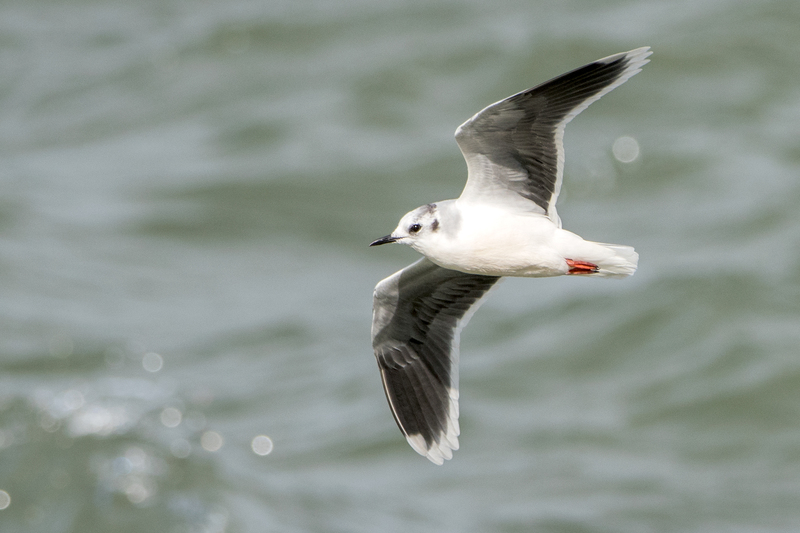 A close-up of the 1st-winter Little Gull at Bennett Beach found and photographed by Tom Riley on the 22nd. 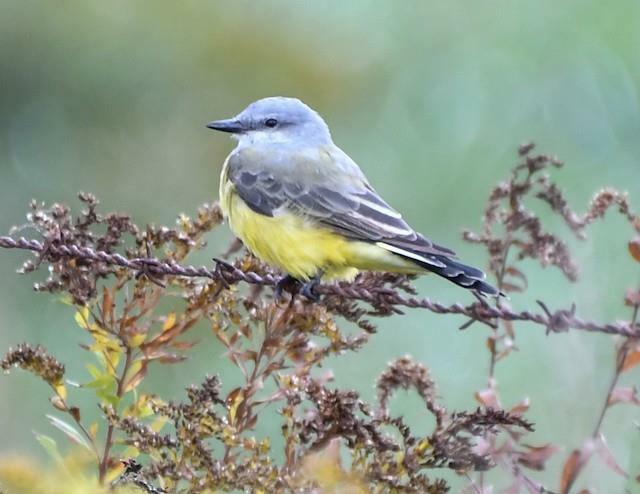 Ketry's Western Kingbird continues into the 23rd as photographed here by Gale VerHague. Still residing along Genessee Road in Springville, NY, this bird has entertained for a week now. 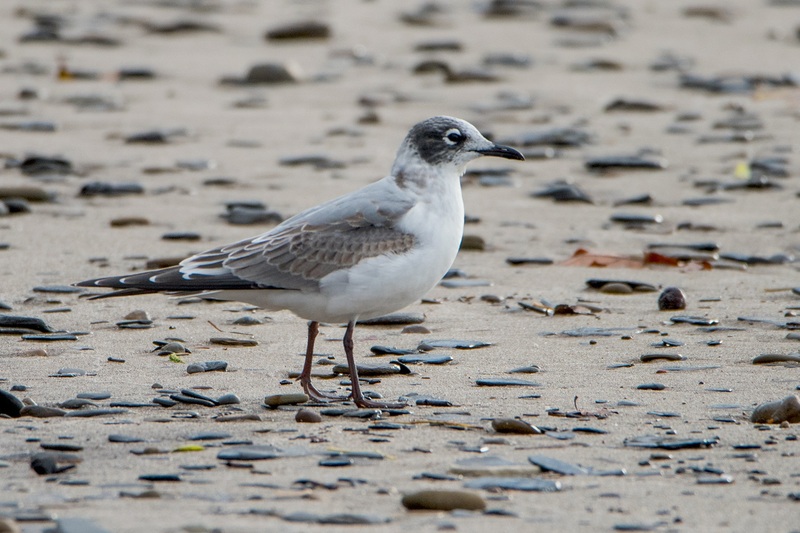 Sue Barth strikes gold with this 1st-winter Franklin's Gull on the 23rd at Woodlawn Beach SP. Note the heavy white eye arcs, pale hindneck, white primary tips and slight bill. Fantastic find! 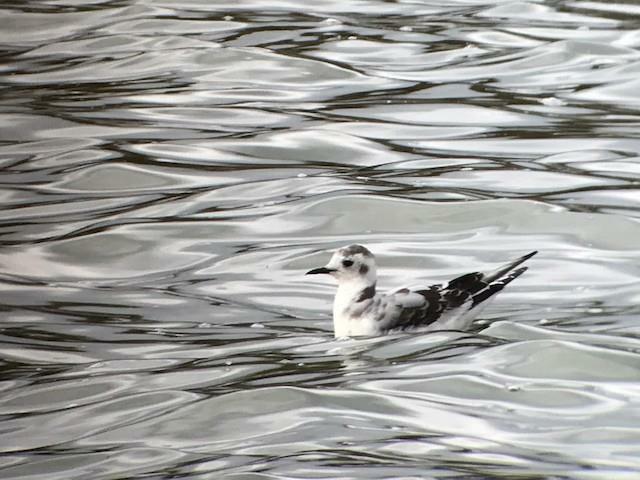 Mike Tetlow found this 1st-winter Little Gull at the Batavia WWTP on the 22nd. Always a noteworthy species, especially so away from the Niagara River and Great Lakes. This bird continued into the 24th. Photo by Tetlow. Willie D'anna found this 1st-winter Franklin's Gull at the Somerset WWTP on the 22nd while scouting for an upcoming BOS field trip. Photo by Mike Gullo. 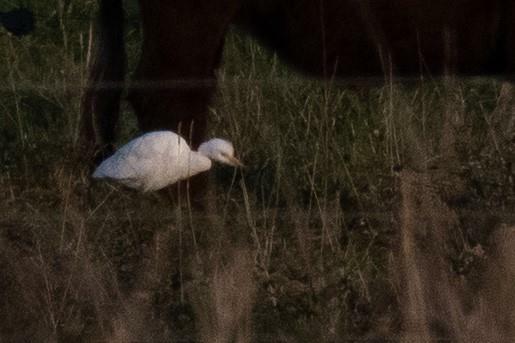 The month's second Cattle Egret was photographed by William Seleen in Busti, NY, Chautauqua County on the 22nd. The bird was said to have been present for about 10 days. 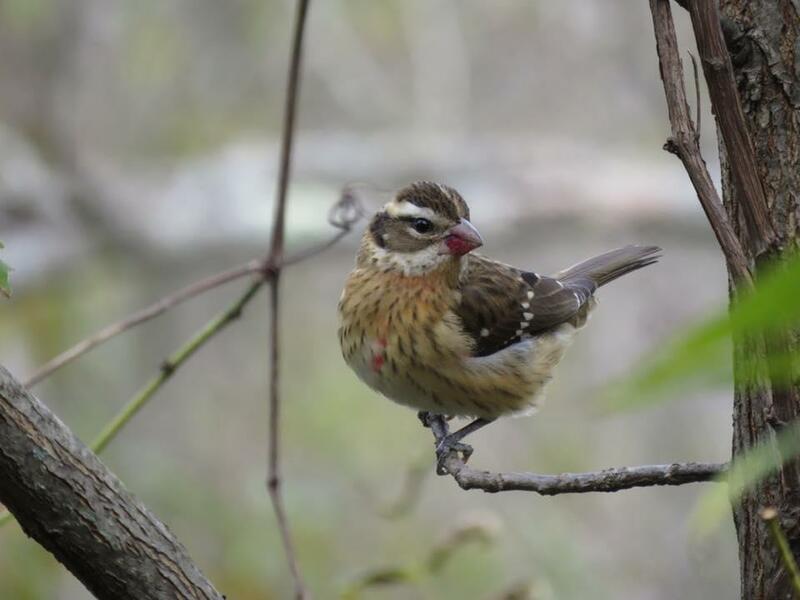 Tom Riley photographed this late season Rose-breasted Grosbeak at Birdsong Parklands in Orchard Park on the 25th. 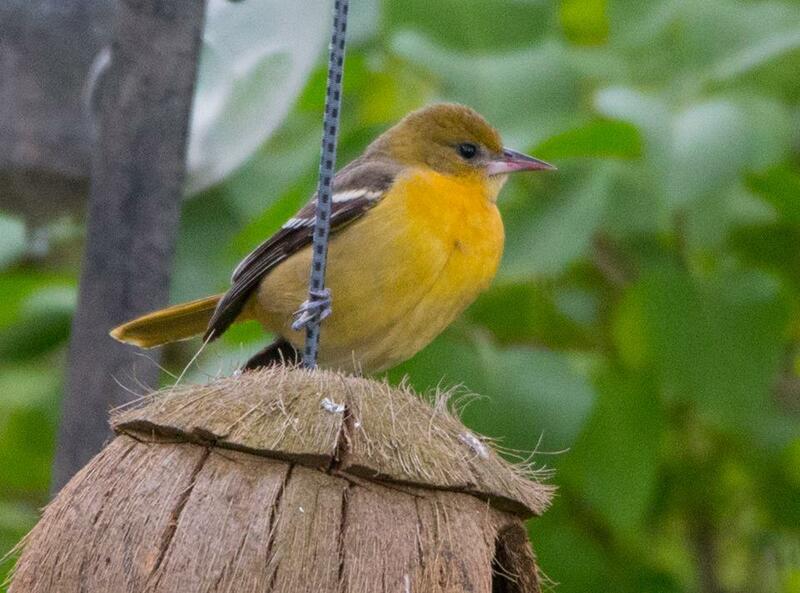 Jason VanEtten was surprsied to find this Baltimore Oriole in his backyard in Hamburg, NY on the 26th. Yet another great late-season record. 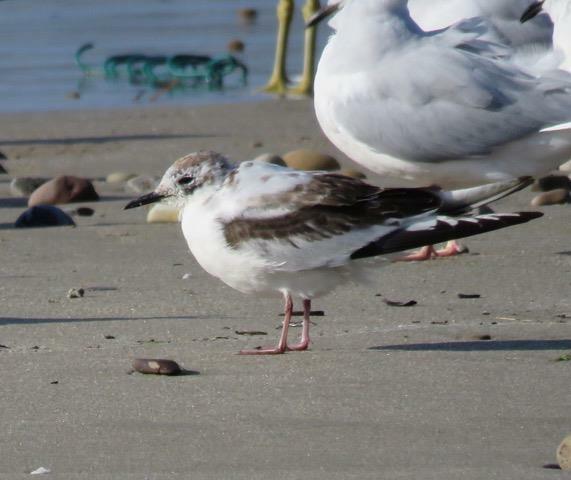 Sue Barth's Franklin's Gull found on the 23rd at Woodlawn Beach SP continued into the 24th. Tony Dvorak took this photo on the 24th. 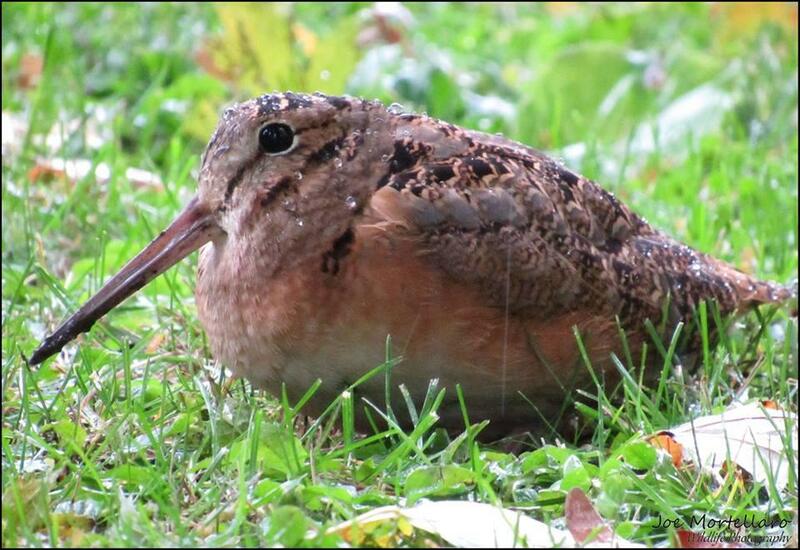 On the 27th, Joe Mortellaro found this American Woodcock out in the open at Forest Lawn Cemetary. A great opportunity to see a species that is normally seen as it's flying away from you and you're trying to catch your breath after being scared out of your wellies! 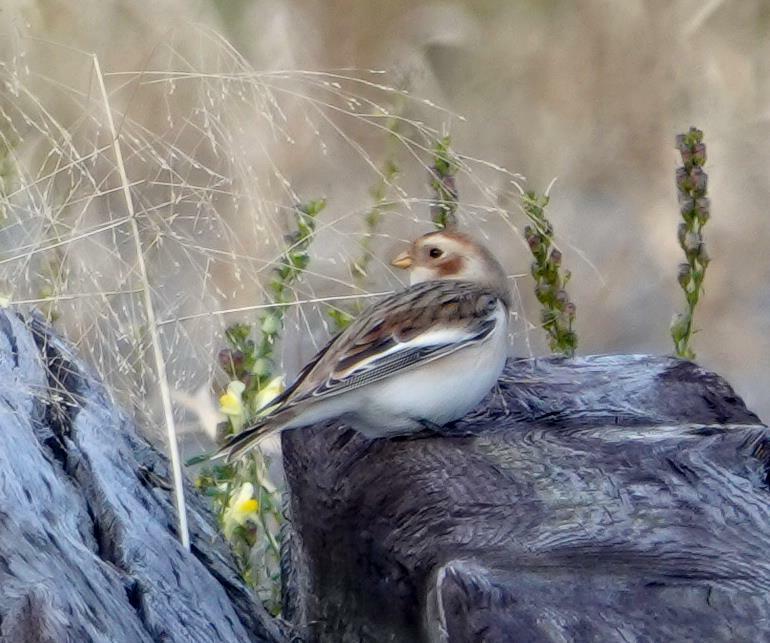 First of season Snow Buntings (9) on the Chautauqua Ridge in Forestville on October 30th.